Trust Carnival King for your supply of carnival foods, and treat your patrons like royalty with delicious-tasting popcorn popped from these Carnival King popcorn kernels. These kernels produce large-sized, butterfly-style popcorn that's sure to keep your customers coming back for more! 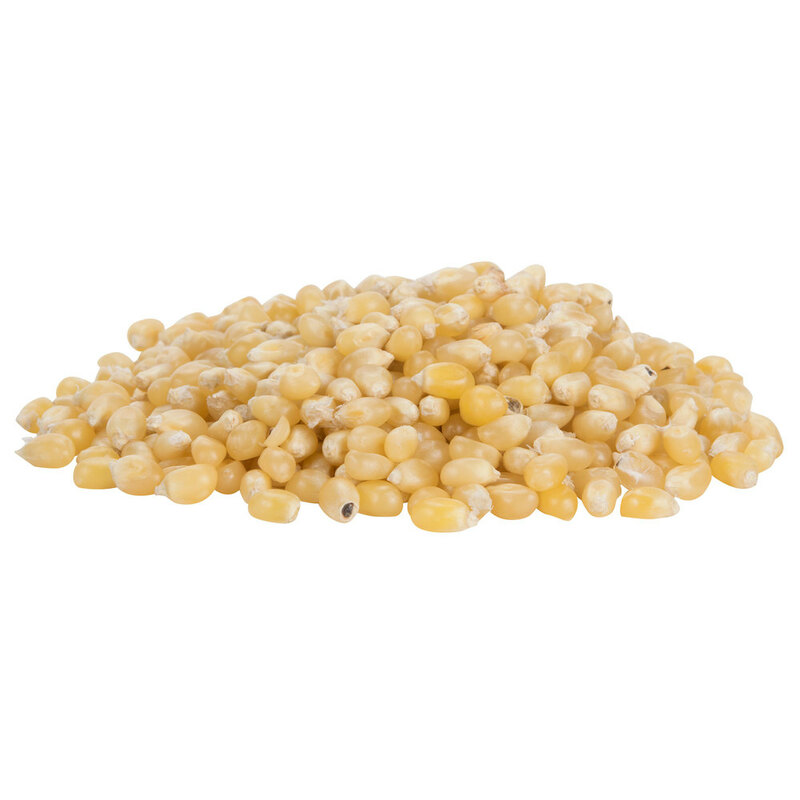 Compared to large bulk bags of popcorn kernels, these popcorn kernels are packaged in a 5 lb. bag that's less bulky, easy to handle, and easy to store. Butterfly-style popcorn has irregular shapes with light, fragile "wings" protruding from all sides. These large kernels produce generously-sized popcorn to fill your popcorn bags, boxes, and tubs and ensure maximum profitability. Featuring a classic shape, butterfly popcorn is the popcorn of choice for movie theaters, stadium sporting events, fall fairs, or carnivals. Delight your guests and use these popcorn kernels to pop deliciously light and tender yellow popcorn with a classic butterfly-style appearance and shape. These kernels deliver a consistent product each and every time. Simply follow the instructions on your countertop or freestanding popcorn machine to properly prepare. The result is the perfect light snack with familiar, satisfying popcorn taste customers are sure to love. Enhance your popcorn with a burst of sweet or savory flavor using popcorn flavorings and seasonings, or stick with the widely popular salt and butter toppings. Popcorn maximizes profits, boosts impulse sales, and delights your guests of all ages! This non-GMO popcorn is grown in the USA. Sold in a 5 lb. bag.